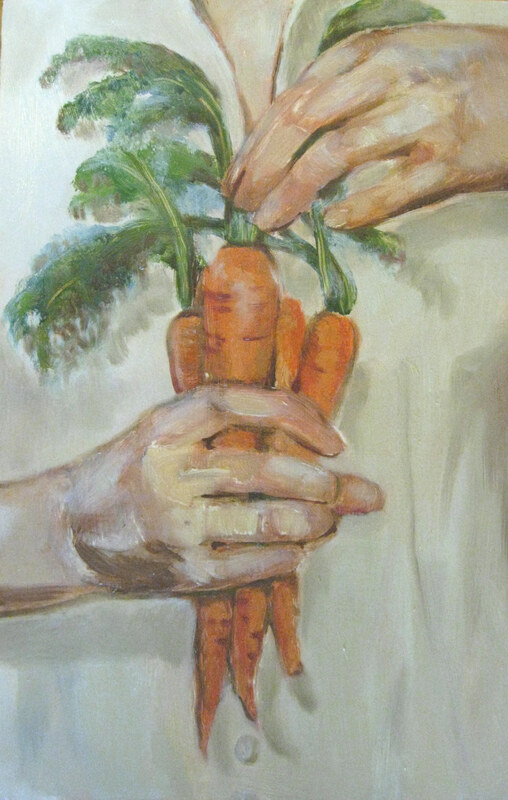 I have painted vegetables for years now, mostly interiors, and have within the past few years been fascinated with the carrot, as mentioned and shown in previous posts. The carrot painting is only one of three panels to this piece (the other two panels are not shown). Only today, have I been introduced online to other carrot and vegetable fanatics by my good friend, a. (a writer who is currently fascinated with spiders). I feel part of the international community now. You can visit the carrot museum site for a good dose of laughter and education on the hopeful carrot. Most of all, you MUST not miss the vegetable musicians, true artists who tour all over and are unmistakably serious. let me know what you think. my children were truly inspired, my daughter using a fork to make ridges in an eggplant top in order to create a new sound. And with the rest of the eggplant I made supper — cooked and sauted in olive oil, sea salt, balsamic vinegar & sugar, in a fresh garden basil, oregano, tomato and garlic sauce, all simmered together and poured over angel hair pasta. If you watch the above vegetable video, be sure to watch the broccoli christmas song next (played on a broccoli). enjoy! 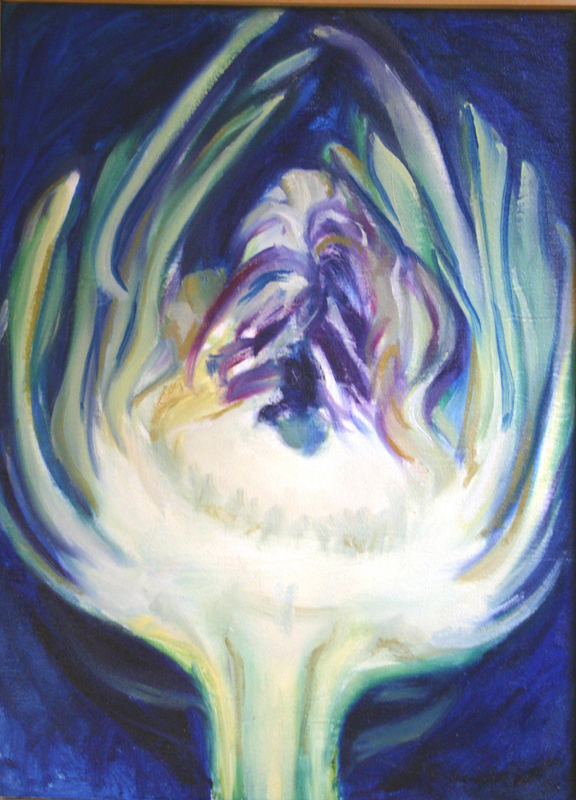 ~ by balm on August 19, 2008.